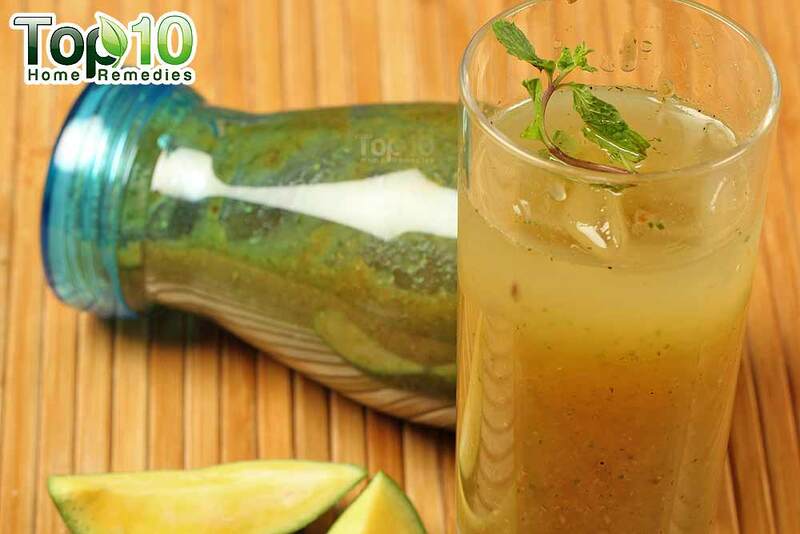 Fight the intense summer heat with this tasty, healthy drink prepared from the pulp of boiled raw mangoes. 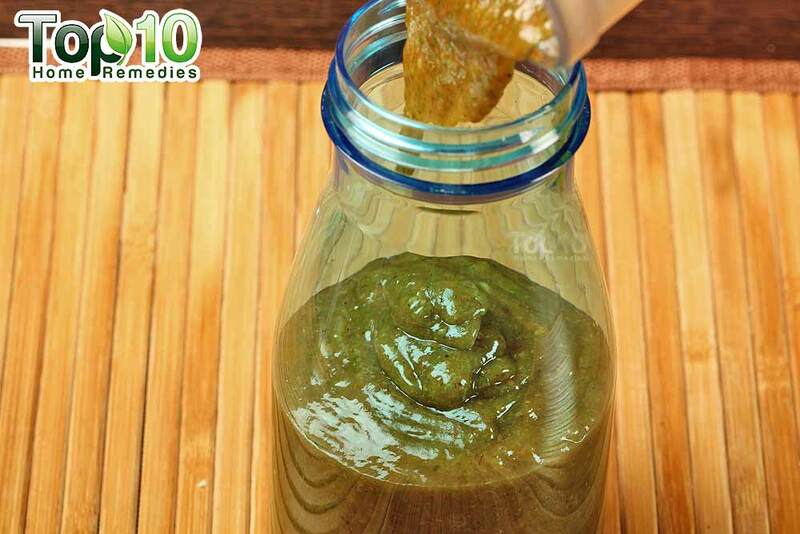 This sweet and tangy Indian drink is also called ‘aam panna.’ It quenches thirst, keeps your body cool and prevents heatstroke. 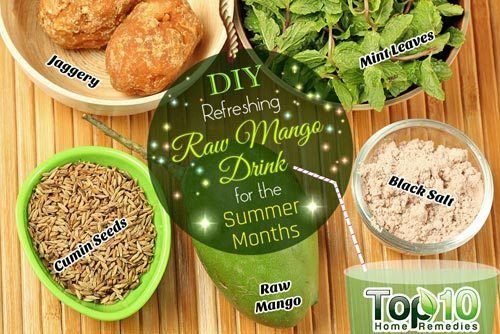 Raw mangoes are rich in vitamins A and C, calcium, magnesium, potassium and phosphorus. 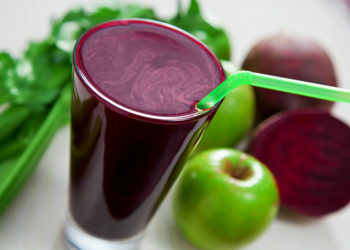 Plus, they have high water content and contain enzymes that aid digestion. 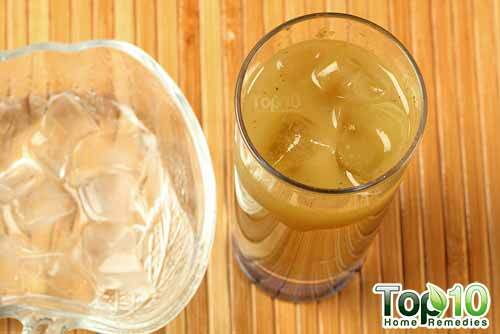 Traditionally, this drink is made with sugar, but this recipe uses jaggery, also called gur, to make it healthier. It is a natural sweetener. 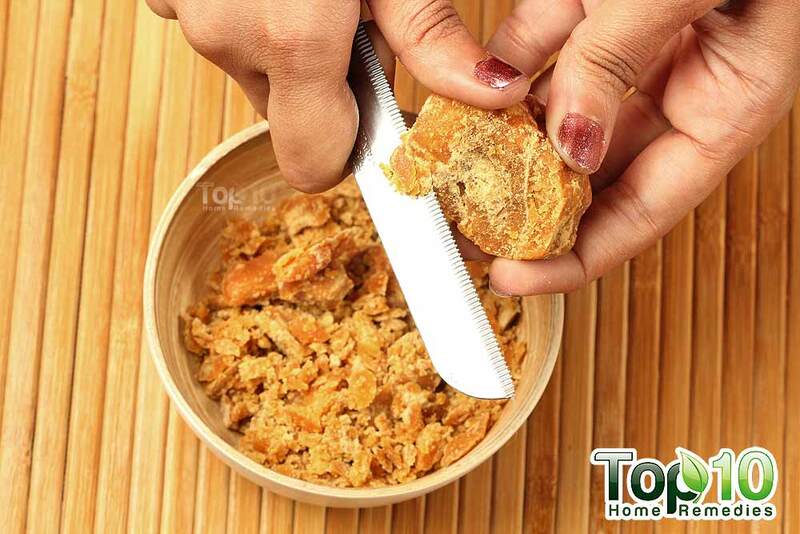 However, if you do not have jaggery or if you do not like its taste, then you may use sugar. Usually, the ratio of raw mango pulp to sugar is 1:2. 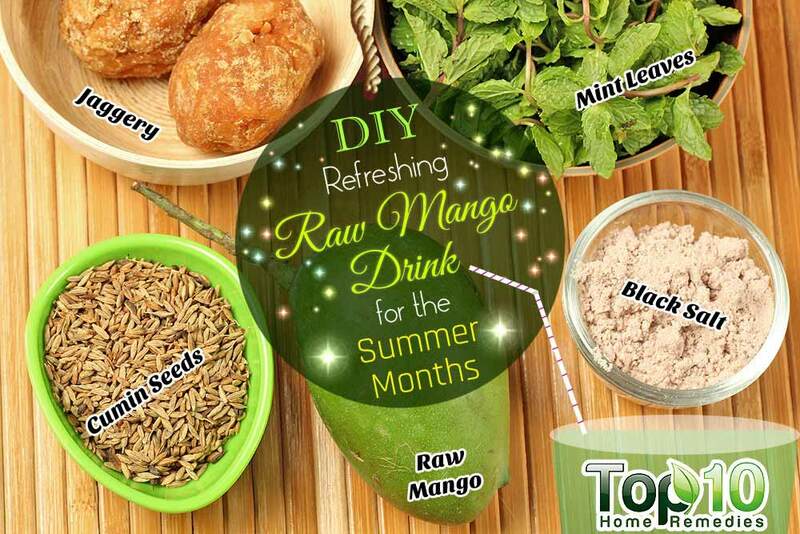 Here’s the recipe for a refreshing and rejuvenating homemade raw mango drink. 1. Peel the skin off 3 to 4 boiled raw mangoes. 2. Extract the pulp and discard the seeds. 3. Shred a block of jaggery. 4. 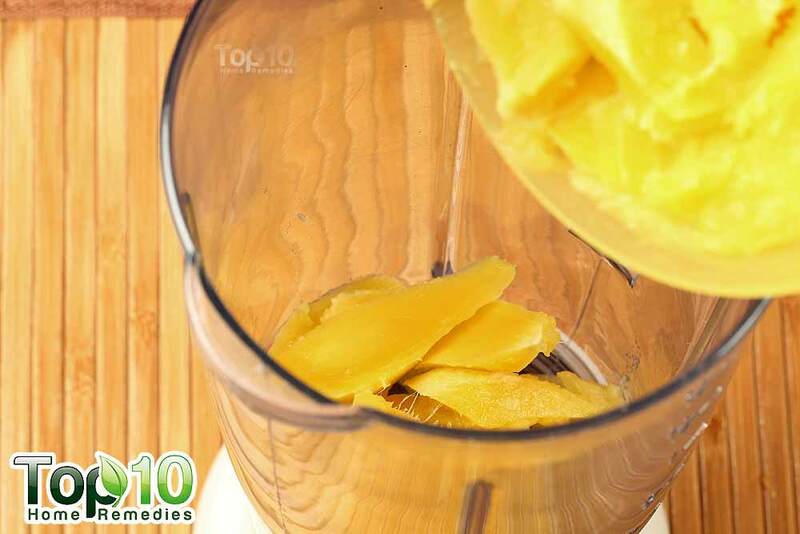 Put the raw mango pulp into a blender. 5. Add 1 to 1½ cups of shredded jaggery. 6. 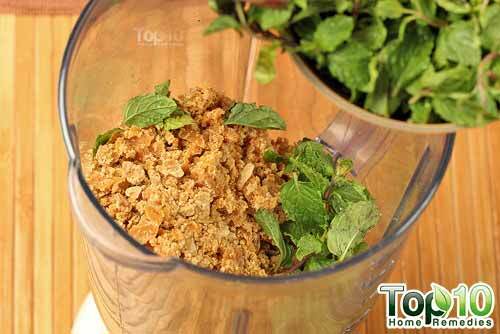 Add a handful of thoroughly washed mint leaves. 7. 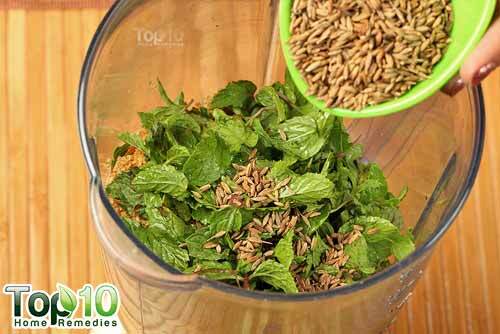 Add about 1 tablespoon of dry roasted cumin seeds. 8. Add about 2 teaspoons of black salt. 9. 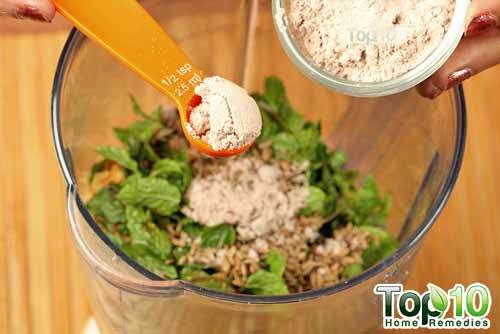 Blend the mixture for a couple of minutes until you get a smooth consistency. 10. Transfer this raw mango drink preserve into a bottle or container. 11. Put about 2 tablespoons of this preserve in a glass. 12. Pour cool water over it. 13. Add ice cubes to chill the drink. You can enjoy this chilled raw mango drink a few times a day to beat the heat. 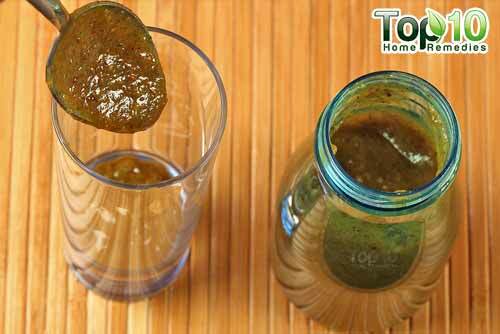 You can store the rest of the preserve in the refrigerator for 3 to 4 days. Make sure you rinse the raw mangoes thoroughly before boiling them. Pressure cook or boil the mangoes until they become very soft. 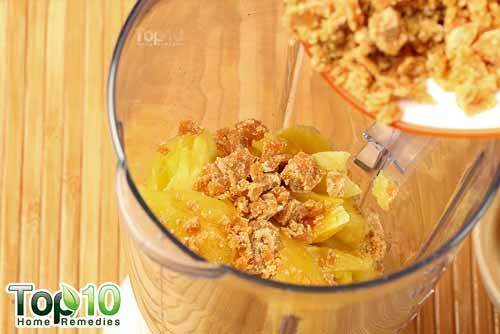 When peeling off the skin and extracting the mango pulp, scoop out the pulp from the peels as well. If you like a smoky flavor, you may roast the raw mangoes instead of boiling them. 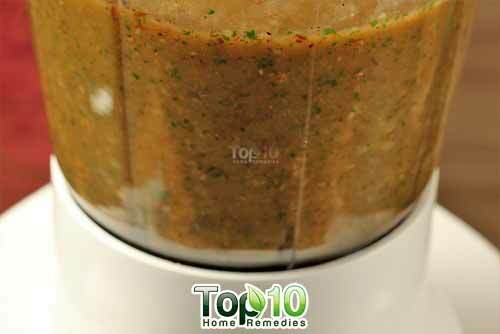 You can also add more spices like black pepper, fennel seeds, cinnamon and cardamom to make the drink spicier. Adjust the quantities of ingredients to your taste preference. Do not store your raw mango drink preserve in a metal container as it may acquire a metallic taste. 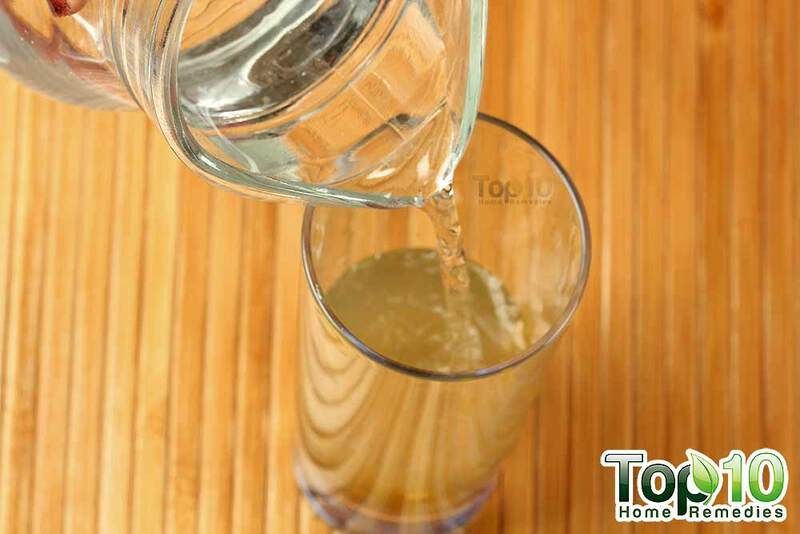 Store it in a plastic or glass bottle/container that is completely dry. Looks great, might try it… Mango’s are good for you.. If it’s raw mango drink, why then the instructions call for boiling , pressure cook, or roasting the mangoes?